Painted on card in black and shades of grey, the identity of this Dragoons officer in his pigtail wig has sadly been lost to history. 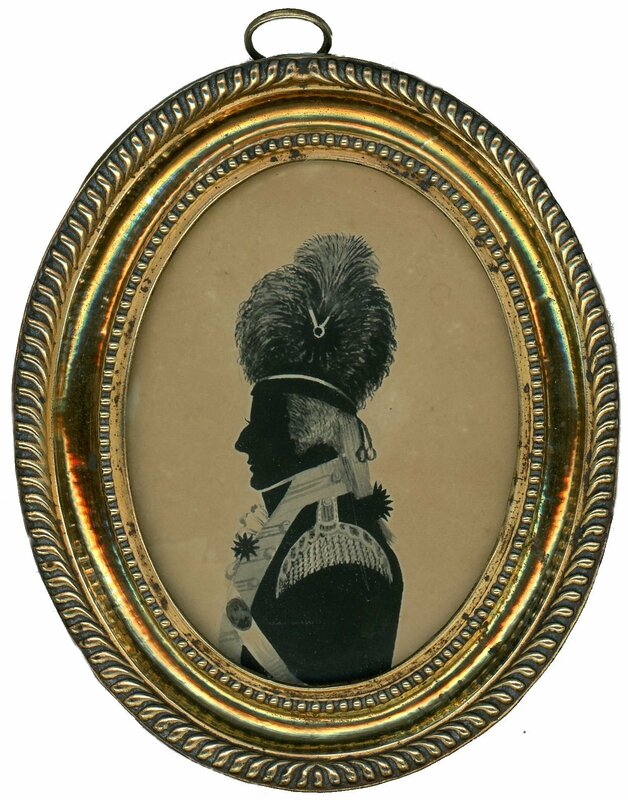 Nonetheless, he has a fine busby hat and an epaulette to his left shoulder. The silhouette is set in a period brass-faced oval frame. William Hamlet the Elder may have been a French émigré. He settled in Bath where he had a studio between 1785 and 1816. The recent discovery of an article published in Freedom’s Journal (New York, 28 March 1829) upon the wrongful arrest of his son, George Hamlet, in New York reveals the silhouettist to be “a man of colour”, a fact hitherto not realised.